When I first moved to Phoenix I immediately felt dismay over the distance to the temple. While not impossible, the 90 minute drive meant a visit lasted 6 hours, too long for me to attend if I had a nursing baby at home. The difficulty taught me to appreciate the temple more. I felt ecstatic at the Church’s plan to build a temple in Phoenix. Then I had to find extraordinary patience as the planning and building phases took six years to complete. This past fall, I had the privilege of attending the Phoenix Temple open house with my entire family. Many of my friends volunteered in the open house and shared their inspiring experiences with me. I’ve felt longing for this House of God, and now joy at being able to go inside and worship there. I know The Church of Jesus Christ of Latter-day Saints offers saving ordinances restored from ancient times. Through these ordinances, available in temples, my family has a chance to be together eternally. I have never found a more beautiful piece of truth; one that inspires me to keep trying even when life is hard. My husband and children bring so much happiness to my life. And the gospel teaches us the principles needed to achieve that happiness. It’s amazing! Check out her blog for a post about her trip to the Phoenix Temple open house. NOTE: The temple pictured above is the Bountiful Utah Temple. Holly noted her favorite temple is the Phoenix Arizona Temple, but I have not yet photographed that temple. 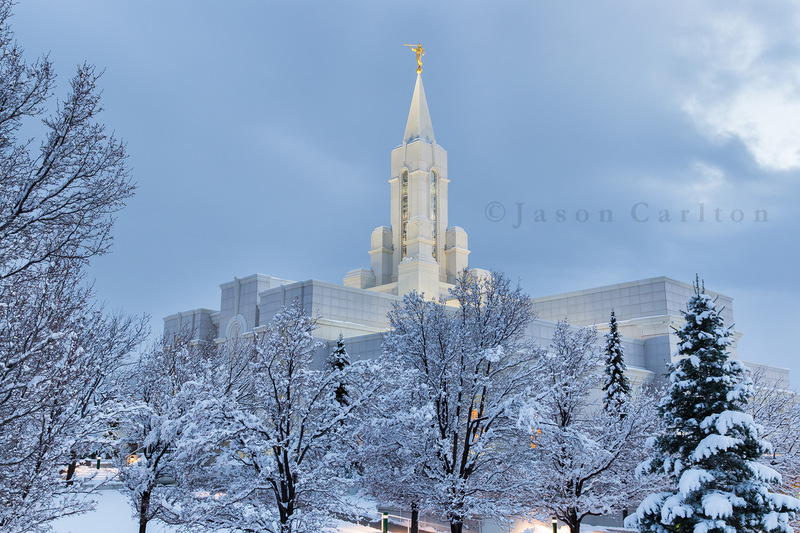 Posted in UncategorizedTagged Bountiful, Bountiful Utah Temple, Canon, Carltonaut, Davis County, LDS, LDS Temple Pics, mormon, Phoenix Arizona Temple, photography, snow, snowfall, temple, testimony, The Church of Jesus Christ of Latter-day Saints, Utah, winterBookmark the permalink.